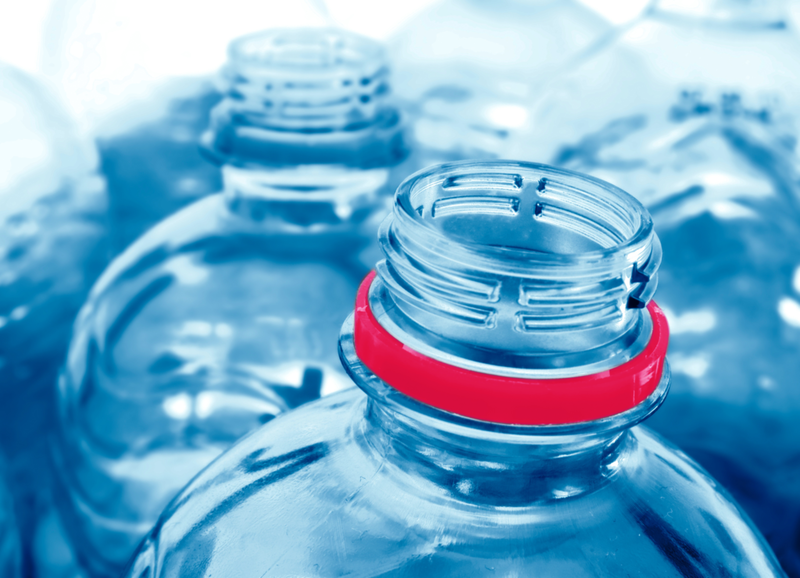 As a versatile, durable and inexpensive material, plastic has become an integral part of the global economy. Yet the current plastics economy has its drawbacks: The sector represents 6% of global oil consumption and by 2050 could account for 15% of the global annual carbon budget, if current rates of growth continue. As momentum around the circular economy grows, bio-based plastics, commonly referred to as bioplastics — plastics made from renewable biomass sources — have emerged as a promising solution to the mounting plastics problem. “Bio,” however, doesn’t necessarily mean “sustainable.” This then raises the question: Is environmental performance the only relevant factor? Life Cycle Assessment (LCA) offers businesses a powerful tool to evaluate the environmental impacts and economic viability of replacing fossil-based plastics with bio-based polymers. In cases where bio-based plastics aren’t inherently advantageous, combining impact valuation methodologies with Life Cycle Thinking can provide organizations with a more holistic understanding of their potential societal, environmental and economic value. Bio-based Plastics: What’s in a name? 1st Generation Feedstock (Food Crops): First generation bio-based plastics are derived from carbohydrate-rich plants such as corn, wheat and sugarcane, which are also used for food or animal feed. Braskem is one example of a company using sugarcane-based ethanol to produce bio-based plastics. The company worked with Quantis to address its carbon emissions in an effort to reduce its overall corporate footprint. The results from the collaboration were ultimately used to inform Quantis’ Land Use Change Guidance. 2nd Generation Feedstock (Non-Food Crops): Unlike 1st generation feedstocks, 2nd generation feedstocks come from sources that are not suitable as food or animal feed. They can be either non-food crops (e.g. cellulose) or waste materials from 1st generation feedstocks, such as waste vegetable oil, bagasse and corn stover. As part of its research for the BioCatPolymers H2020 project, Quantis is analyzing the technical, economic and environmental benefits of converting low-cost and residual lignocellulosic biomass to high added-value bio-based plastics. 3rd Generation Feedstock (Algae and Waste): A 3rd generation of feedstocks which relies on waste streams and algae is also on the rise. Israeli bio-based plastics producer UBQ provides a prime example of how waste streams can be used as a raw material. The company is working with Quantis to evaluate the environmental impact of using municipal solid waste in a country where recycling rates are low. Each type of biomass material has its own unique environmental impacts and challenges. LCA allows businesses to evaluate the life cycle performance of different types of bio-based plastic feedstocks, identify the pros and cons of each, and determine if bio-based plastics make sense for their organization. If bio-based polymers require more resources to produce than conventional options or cause product failure or reduced performance, they can hardly be considered viable in economic or environmental terms. Beyond the sourcing and production stages, metrics can also provide valuable insight into another critical phase of a bio-based plastic’s life cycle: disposal. Even if the sourcing and production stages pass the sustainability test, end-of-life processing could render it unsustainable. For example, the end product could end up requiring special or energy intensive infrastructure to be sorted, cleaned and processed — infrastructure that may not yet be widely available. Confusion surrounding the proper disposal of “biodegradable” and “compostable” plastics could also mean bio-based plastics mistakenly end up in regular recycling, landfill — or worse — the ocean. As part of the STAR-ProBio project, Quantis is developing a comprehensive sustainability assessment framework that covers these steps, with the aim to support future EU policies and encourage consumer acceptance. Would it then be better to simply produce durable bio-based plastics that can be processed by existing recycling streams? In LCA, materials sourcing, product use and end-of-life processing all enter into consideration, which explains why certain bio-based options turn out not to be particularly advantageous. Despite this somewhat counterintuitive reality, bio-based plastics shouldn’t be discredited just yet. However, capturing the value bio-based plastics can offer a system as a whole, as well as the innovation opportunity they present, is where LCA can fall short. But where the methodology falters, valuation approaches can help fill in the gaps by shedding light on the societal benefits bio-based plastics can produce. For example, 2nd and 3rd generation bio-based plastics give waste a new lease on life, which could ultimately cut costs linked to waste treatment, spur job growth and generate new economic opportunities for local communities. Quantis tested this layered approach when it helped Swiss-based pharmaceutical company Novartis apply the Social Return on Investment (SROI) framework and impact valuation methodologies to measure societal value derived from its carbon-sink forestry projects. The findings of the study identified a 780% social return on investment as the result of climate change mitigation, ecosystem services, local employment and improvements to smallholders’ livelihoods. While the above example focuses on reforestation, the same valuation approach could be adapted to bio-based plastics. On its own, LCA offers businesses strong data to inform the decision-making process. However, it only tells part of the story. Valuation methodologies offer yet another layer of analysis, teasing out the societal value to be gained by using bio-based plastics. Together, the two approaches provide organizations with a more holistic understanding of the materials’ potential impacts, and the vital metrics needed to build a formidable business case, drive sector-wide innovation and mobilize change. Connect with Gregory Simonnin to learn more about how to combine Life Cycle Thinking and impact valuation, or get in touch with Laura Peano to discuss how Quantis can help you choose the bio-based plastic best suited to your business needs.